Home › Programs › Seeking Christ › Who Will Benefit from Seeking Christ? Who Will Benefit from Seeking Christ? Each video probes the selected topic at hand in a way that gives rise to reflection and discussion for those who view them. They are not heavily catechetical, as the aim is not so much to “teach,” but rather respond to the human questions and longings that so many have in this day. The secondary beneficiaries of Seeking Christ will be evangelization and initiation ministers who have been wanting to welcome seekers and newcomers all year round, but do not have the appropriate resources to do so. 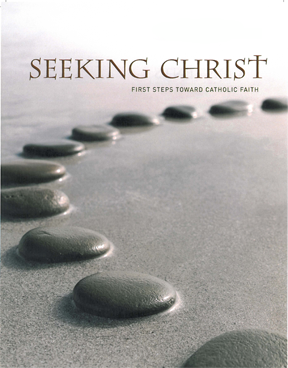 Seeking Christ is a ready-to-use and an uncomplicated resource that will help many to consider the richness of the Catholic tradition and the way that faith can respond to life’s pressing questions.